If Dawn does go so low, it will be an exciting ride. How cool to skim so close to an alien world! But controllers must be careful that the spaceship doesn’t dip too low. We have described before that Dawn complies with a set of protocols called planetary protection (not entirely unrelated to the Prime Directive). The team must ensure that the final orbit is stable enough that Dawn will not contaminate the astrobiologically interesting Ceres even for decades after the mission concludes. The primary reason to plunge down so close to the mysterious landscapes of rock, ice and salt — apart from pure awesomeness — is to sense the nuclear radiation emanating from Ceres with greater clarity than ever before. With its gamma ray and neutron detector (GRaND), Dawn’s measurements of this radiation provide insight into the atomic constituents down to about a yard (meter) underground. We have discussed this before in detail, including how the measurements work and why after operating so close to Ceres, Dawn flew to a higher orbit to improve its data. The radiation is so faint, however, that some elements can only be detected from much closer range than Dawn has been. This is akin to looking at a very dim object or taking a picture of it. From far away, where little light reaches your eyes or your camera, colors are difficult to discern, so the view may be nearly black and white. But if you could move in close enough to capture much more light, you could see more colors. If Dawn can move in much closer to capture more of Ceres’ nuclear glow, it may be able to see more of the elements of the periodic table — in effect, taking a more colorful picture. We see most objects by reflected light that originates either on the sun or artificial light sources. The nuclear radiation Dawn sees from Ceres is principally caused by cosmic rays. Cosmic rays are a form of radiation that fills space and originates far outside our solar system, mostly from supernovas elsewhere in the Milky Way Galaxy. The brighter the cosmic rays, the brighter Ceres will seem to be. The atoms on and underground don’t reflect cosmic rays that strike them. Rather, the cosmic rays cause them to emit neutrons and gamma rays that escape back into space and carry with them the identities of the atoms. 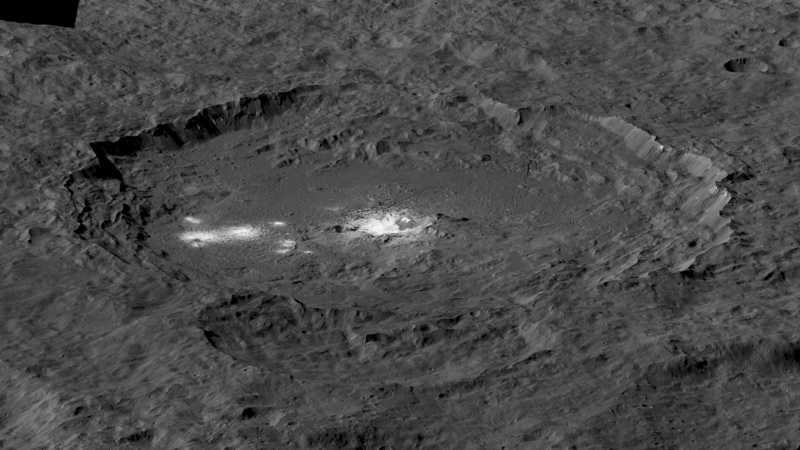 So, we can think of this as cosmic rays illuminating a scene, and Dawn will make nuclear photographs, revealing more details of Ceres’ composition. In addition to the advantage of going very low, it turns out that there is a special benefit to performing these measurements in 2018. The sun’s magnetic field, which reaches out far beyond the planets, weakens cosmic rays entering our solar system, partially dimming the illumination. But our star’s magnetism waxes and wanes in a cycle of 11 years. The sun now is entering the part of this regular cycle in which the magnetic field is weak. And it just so happens that this is an unusually weak solar cycle, so the sun’s ability to hold cosmic rays at bay is less than at any time in the history of space exploration. Cosmic rays will be copious in the solar system. This won’t matter much for people on or near Earth, because our planet’s magnetic field (which extends well above where astronauts, cosmonauts and taikonauts work) resists most of the cosmic rays, and the thick blanket of atmosphere stops the rest. 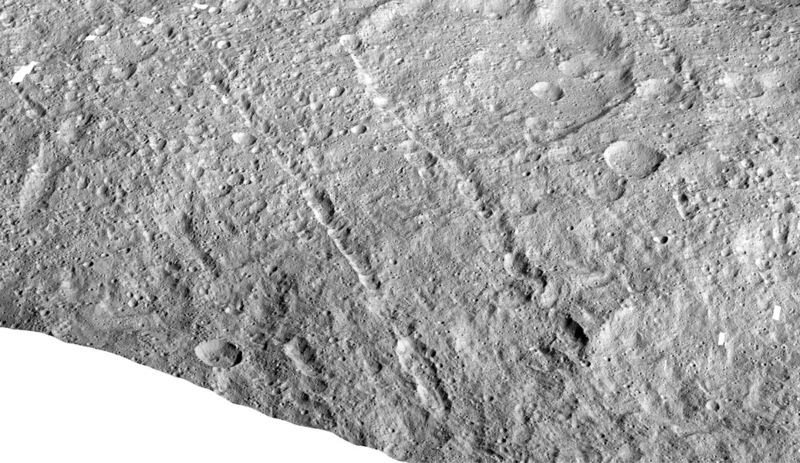 Ceres, like most residents of the solar system, does not have such protections. Thanks to the combination of the forecast of uniquely bright cosmic rays and the latest technology, 2018 will the best year so far in the history of solar system exploration to measure gamma rays or neutrons. Flying so close to the ground, Dawn should get superb readings. In a future Dawn Journal we will discuss more of the specific objectives for the measurements and what they may reveal about Ceres, but now let’s not forget about Dawn’s other sensors. What about photography, infrared spectroscopy, visible spectroscopy, and gravity measurements? We can look forward to some remarkable pictures. Some will be sharper than the best so far, but not by as much as you might expect. When it is in the low altitude segment of its orbit, Dawn will be moving faster than ever at Ceres. If you were in a plane traveling hundreds of miles (kilometers) per hour, it would not be hard to take a picture of the ground six miles (10 kilometers) beneath you. But if you were in a car driving at that speed or even faster, despite being closer to the ground, your pictures might not be better. (That wouldn’t be the greatest of your worries, but the Dawn team is devoting a great deal of work to ensuring the ship’s safety, as we’ll discuss below.) The situation on Dawn isn’t that severe, so the photography certainly will improve somewhat on what we already have. Because the camera’s field of view is so small and the hydrazine imposes such a stubborn limitation on Dawn’s lifetime, we will see only a very small fraction of the dwarf planet’s vast landscape with the improved clarity of low altitude. In previous Dawn Journals (see, for example, this one), we have delved into details of how difficult it can be to predict the orbit with great accuracy. 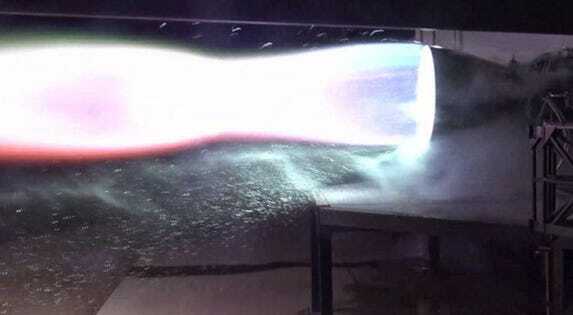 The dominant (but not exclusive) cause is that every time the hydrazine jets fire, whether to maintain a stable orientation or to turn (including to keep the sensors pointed at Ceres while Dawn swoops by in its elliptical orbit), they push the probe a little and so distort its orbit slightly. Predicting the subtleties of the changes in the spacecraft’s orbit is a very complex problem. Although the outcome is not yet clear, the flight team is making progress in investigating methods to manage these orbital perturbations well enough to be able to have some control over where GRaND measures the atomic composition, because its gamma ray spectrometer and neutron spectrometer have broad views. They can tolerate the deviations in the orbit. But Dawn probably will not have the capability to capture any specific targets with its other spectrometers or cameras. Rather, controllers will take pictures of whatever terrain happens to be in view of the cameras. But on a world with as much fascinating diversity as Ceres, intriguing new details are likely to be discovered. 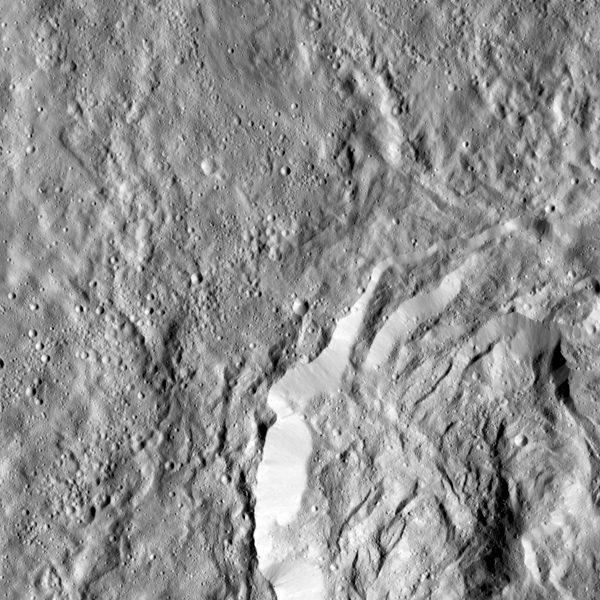 Along with studying the potential for improvements in pictures and spectra, the team is investigating refinements in Ceres’ gravity field. They have already measured the gravity much more accurately than expected before Dawn arrived. Whether flying very close to some regions will allow them to improve their determination of the structure deep underground is the subject of ongoing work. Marc Rayman is the director and chief engineer for NASA’s Dawn mission, which was launched in 2007 on a mission to orbit the two most massive bodies in the main asteroid belt between Mars and Jupiter to characterize the conditions and processes that shaped our solar system.